A fantastic read with a great explanation into the exiled sun – the ‘ugly sister’ of the UN IPCC who prefer to adore and worship (your) CO2 as the primary driver of climate. Suppose you can’t tax the sun, although the Spanish government did with disastrous repercussions to its ‘solar paneled’ economy. Nor can you control people’s lives and lifestyles if the sun were indeed the climate control knob! Seeing a lot more of this lately, along with hearing the geese honking. And in the next month or so, we expect that trees around here will lose their leaves. It definitely is climate change of the seasonal variety. Interestingly, the science on this is settled: It is all due to reduction of solar energy because of the shorter length of days (LOD). The trees drop their leaves and go dormant because of less sunlight, not because of lower temperatures. The latter is an effect, not the cause. Of course, the farther north you go, the more remarkable the seasonal climate change. 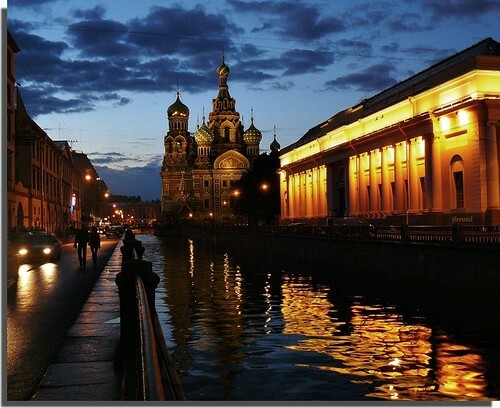 St. Petersburg, Russia has their balmy “White Nights” in June when twilight is as dark as it gets, followed by the cold, dark winter and a chance to see the Northern Lights.